If you’re over the age of 50 and returning to school to complete your degree, you’re eligible to apply for the Elite Insurance Partners & MedicareFAQ Scholarship benefit. We strive to help students, especially those with a passion in Senior Healthcare. We have decided to offer one lucky student with a $1,000 scholarship benefit. We’re also requiring an official transcript as well as a complete application from each applicant. Students enrolled in a 4-year undergraduate program or graduate degree program within the continental United States will qualify. Our scholarship is aimed for those majoring in a Senior Healthcare related Field. However, this isn’t a requirement, and anyone is able to apply. This Scholarship is ongoing. We’ll be depositing funds directly to the university or college institution. 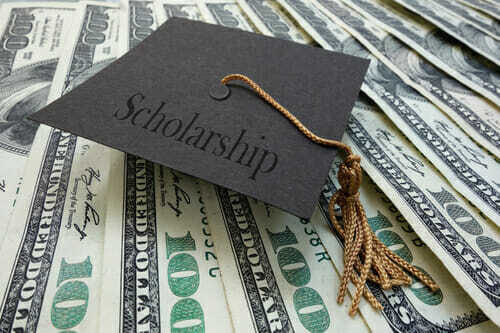 Books, fees and Tuition can be covered with a Scholarship from us. Fall scholarship deadline is August 22nd of the current year. The winner will be notified within 30 days after the deadline. We look forward to hearing from many ambitious college students as well as selecting one to win our $1,000 Scholarship. In addition to other requirements, applicants can’t be related to any of MedicareFAQ owner or employees. All applicants must print and mail the required information. You can download the scholarship application here. The Mission at MedicareFAQ is to offer benefits to older Americans, like securing a suitable Medigap policy. There are more than ten thousand seniors aging into Medicare daily, and the elderly are needing community service now more than ever. We’re not required to apportion our Scholarship fund if we feel the candidates are deemed unsuitable. The standards are up to our own discretion, and we will not be held responsible for these funds in the future.